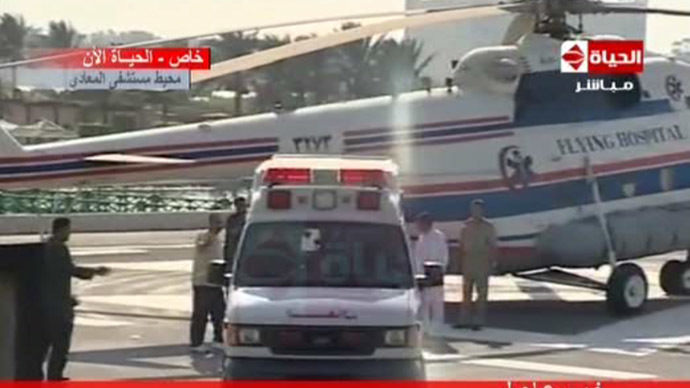 Former Egyptian President Hosni Mubarak has been airlifted by helicopter out of Cairo’s Tora Prison and flown to the army's International Medical Center, where he will remain under guard. The 85-year-old still faces multiple criminal charges. The transfer came after a court ruled that prosecutors can no longer prolong Mubarak’s time in jail with appeals or new charges, a tactic that helped to keep him behind bars for the past 17 months. Prosecutors have decided not to challenge the decision. 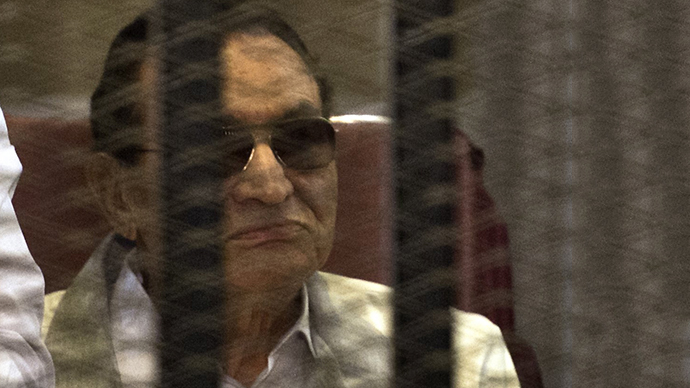 Mubarak, who had ruled Egypt for 30 years until his ousting following mass protests in 2011, faces a host of charges, including complicity in the killing of demonstrators before he was toppled, receipt of multi-million dollar gifts from media, and appropriating state funds. He was sentenced to life for his role in the protests in Tahrir Square in March 2011, but the decision was overturned this January, forcing a retrial. The ex-president, who suffered a series of health scares during previous court sessions, is scheduled to appear before judges next week. A previous session was abandoned due to the current security crisis gripping the nation. Mubrak’s defense team has argued that the former leader has exceeded the maximum time a defendant can be held in custody without a sentence. While Mubarak’s ongoing case has taken a back seat to the street battles between Islamists and government forces, which have cost more than 1,100 lives over the past week, some have seen the discharge of the former leader as a symbolic move. “The release of Mubarak may be the chance for others to snap out of it, and understand what’s really happening: the return of the old regime,” said Ahmed Maher, the founder of the 6th of April youth group that helped start the protest movement that toppled Mubarak. “Maybe now they will understand that we’ve been fooled,” he told the New York Times. 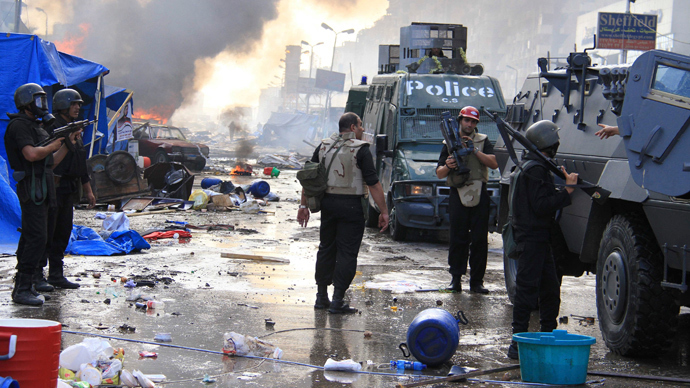 Mubarak was eventually replaced by the Islamist president Mohamed Morsi in June 2012. 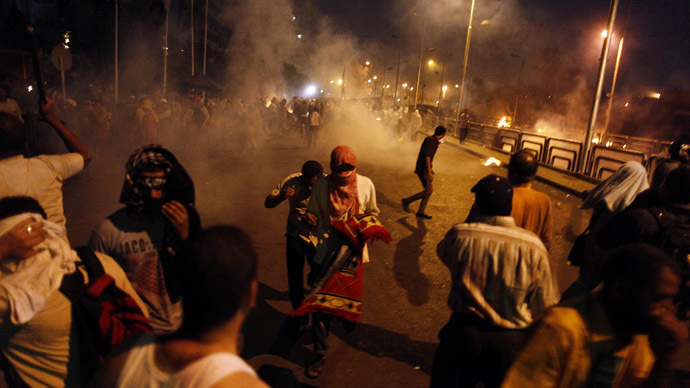 A year later, the Muslim Brotherhood associate was swept away - like his predecessor - through a series of street protests, endorsed by the army. 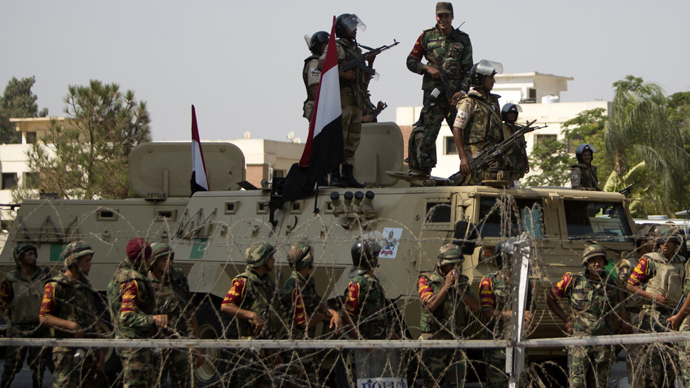 The interim government, which has detained Morsi in an unspecified location, says that it is managing an orderly transition to democracy, but the Muslim Brotherhood insists that it will not accept the regime change.